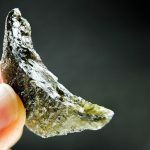 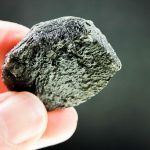 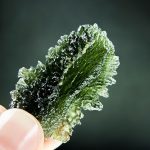 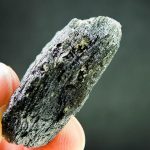 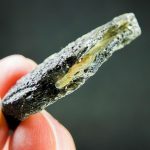 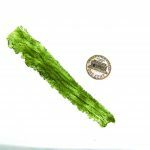 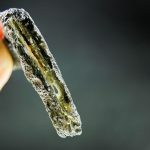 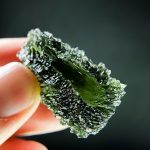 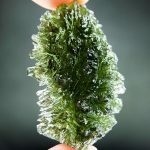 The moldavite comes from deposit Parýz (near village Dobrkovská Lhotka). 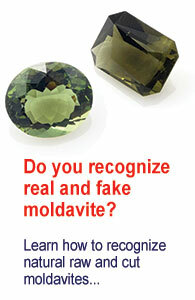 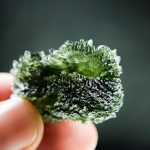 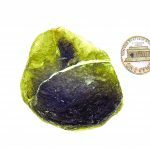 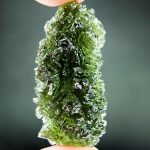 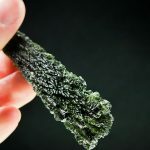 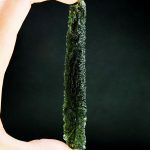 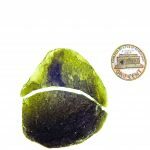 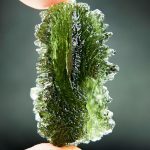 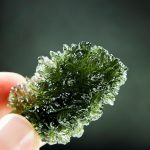 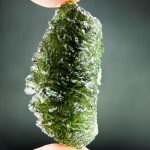 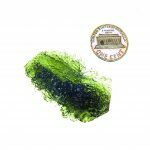 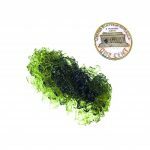 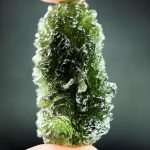 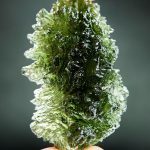 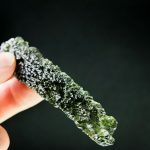 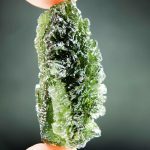 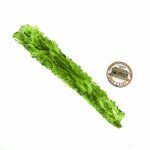 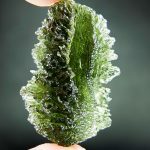 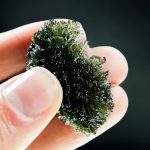 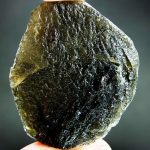 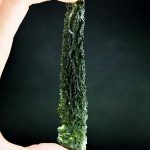 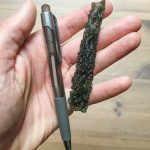 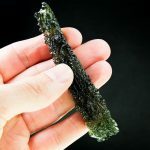 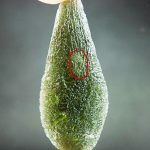 Besides the stunning sculpture (moldavite texture), the moldavite has an imprint of a bubble and glossy surface. 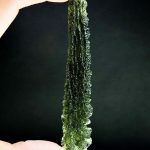 Stick or middle part of very elongated drop shape? 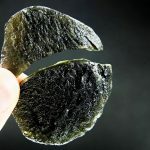 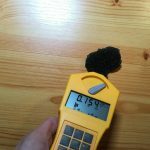 Caused due to strong internal stress. 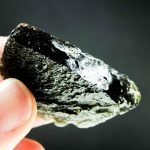 Broken after extraction from sediment. 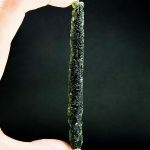 February 9, 2019 in Gallery.